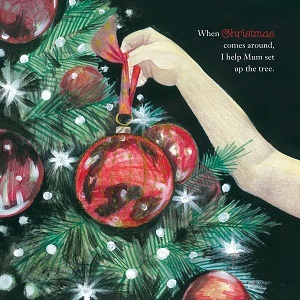 This time of the year can be quite difficult for many families who have experienced the loss of their baby through miscarriage, stillbirth, nenonatal or infant loss. In particular, young children who are living without their brother or sister may feel a little more overwhelmed. 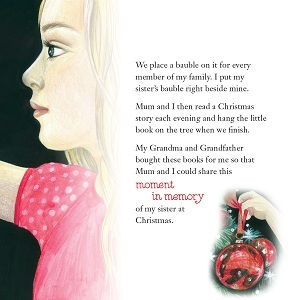 I would like to reduce the price of my children's book - I have a Baby Sister in Heaven - to help reach more children and their families who may be struggling at this festive time of the year. Whether this is your first or 15th Christmas, please know that I am thinking of you and your children. When I heard the cries of my rainbow baby as she entered this world, the overwhelming emotions of relief, joy, love and disbelief swept over me like a tonne of bricks. In 2005, after experiencing 4 years of grief and loss through losing 7 babies, I held a baby girl who was breathing, who was healthy, who was coming home with me. As I headed to the hospital's elevator to leave, it literally felt like I was stealing her. It was incredibly surreal. I just couldn't believe she was actually mine. She was my 8th baby, but my very first to keep. Isabella Ashlyn Tattis is my rock, my rainbow, my hope, my joy, my song in life. 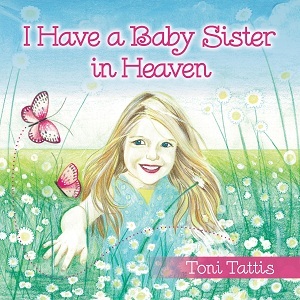 She pulled me out of the depths of despair 15 months after losing Jacinta & Madelin. She pulled me out of years of depression from multiple loss and gave me hope when I was grasping at any kind of light in my day. I needed her possibly more than she ever needed me, especially when I separated from her father 2 years after she was born. Almost 8 years on, I still know how blessed I am to have her. What a true miracle she was and is. I feel it through every breath I take, through the moments of sadness for my babies in heaven, through her achievements at and outside of school, through supporting many grieving families through Bears Of Hope, through the daily cuddles I have with her and through her just being here for me to mother. How lucky I am to have such a bright, happy young girl who makes me so proud every single day to be her mother. I can openly say she saved me from a path I no longer wanted to follow. I was on autopilot for years trying to live a life that seemed so foreign to me. I just couldn't find my place in it. I didnt feel as though there was a true connection to reality as so much of me had died too. I felt like a total failure to myself and to my husband. All I wanted to be was a mother to a baby here on earth who I could love, nurture and watch achieve all their milestones in life. Isabella gave me the strength and the desire to live again and for that I am forever grateful. Raising a strong headed, smart, assertive young girl, especially as a single mother, has had it's challenges over the past few years but I wouldn't change it for the world. She's a child who challenges ideas, issues and boundaries in life, as to ascertain her place in it. A child who marks her place, certainly challenges mine but I love that! Over the years, I have become conscious of the amount of protection and worry I have for her. Anxiety has surfaced with a strong fear of losing my only child. I do my best to raise an independent girl and not allow her to see my anxiety. It's hard to keep everything in perspective at times, it's very hard to control it. I still double check on her before I go to bed to make sure she is breathing and comfortable. A mother's love for her rainbow baby is indescribable. I have always worried about the impact of her dad and I separating on her self esteem, her confidence and her ability to live between two homes with 2 sets of everything. It's not the family life I ever planned for her, or for that matter, even myself. I have strong family values, having been raised within a tight-knit family. Separating from her dad of 15 years went against everything I had dreamt about and knew of, even though we were strugggling (after years of loss) to find our way together again once Isabella arrived. In the end, the decision was made for me and I did what was best for my daughter and I. Even though there are now different challenges in life due to these circumstances, I have witnessed a beautiful, young girl grow to be a confident performer, a joker, who loves going to school, thrives on her sports (especially cheerleading) and who has a lovely group of friends. Her kindness, zest for life and beautiful smile are so heartwarming to experience. Her drawings since preschool age have always bright and positive including drawings of her family and her sisters in heaven. As a mum, I can proudly say I have done alright considering. She's so beautiful in and out and I am just so lucky! If someone had told me at the age of 25 before starting my family, that I would lose 7 bubs ( two of which would die in my arms) to finally get my rainbow baby, I possibly would have not gone through with it. I wouldn't believe I had the strength to face such traumatic circumstances over and over again for the constant fight for the relief of a grieving heart was almost too much to bear. But, for some reason that was the plan for me. That was what I had to endure. Somehow I kept my dream alive and got back up each time I was crushed into a million pieces. Those pieces never quite fit back together again but has formed the person I am today I am so thankful that I did find a way to put one foot in front of the other and learn to live with the absolute agony and heartache of multiple loss, as I would never know the miracle of having a rainbow baby. "I don't love you mum, I love you more than love". I would do it all again, just for this. It's taken me a week to sit down and write this new blog entry because of the rollercoaster ride I found myself up and down on again. Just one week ago, on Friday 23rd November, I was booked in for my nuchal scan. This was the first time I've been for this scan and I suppose because I am now 36, it is warranted. Waz and I drove down to New Lambton, anxiously. I arrived with a painful bladder and a tad excitement anticipating the view of our baby, but it was more the nerves pounding my stomach and increasing my heart rate that were taking over this situation. We were called in by the ultrasound technician who was really lovely asking questions that were simply answered, but then hitting me with the "what number baby is this?" 9 "How many do you have at home" ..........1. It hit like a tonne of bricks and I sucked it all in to try and persuade my tears not to fall. In that moment I yearned for my babies in heaven. Our baby didn't move as she was scanning and taking images. It was all curled up and faced into the placenta but we could see it's strong little heart beat beating away (163bpm). I loved that sight and the sound of it. Music to my ears, reassuring me in that moment that our baby was doing well.. The technician, continued doing her measurements and checking out our baby quietly. We found out the placenta is sitting on the front of my uterus with this pregnancy. I wondered if it was a boy or a girl. (We are not going to find out). The technician asked me to go and relieve my pain and come back for further scanning. It sounds silly but in that moment I thought there must be something wrong. I went to the toilet thinking what am I going to walk back into that room to hear? However, our baby didn't seem to have much room to move and she wanted to get some really good photo's for us to keep. With an empty bladder, our baby moved around freely, which brought the biggest smiles to our faces and to our hearts. Before we left the room, I caught the measurements of the fluid behind the neck . As soon as we got out into the waiting area to see the Dr for the results, I immediately googled the fluid measurements for Down Syndrome. I couldn't wait to hear from the Dr, so it was a relief to read up that we were in low risk. We walked out of that appointment with photo's, video footage and a result that puts us in low risk for certain abnomalities. But most importantly, we walked out of that appointment with more excitement and hope in our hearts for this precious growing baby. For me, another milestone achieved that I can gratefully tick off. So this was a wonderful result for 12 1/2 wks gestation. The lead up to such milestones is alway fraught with more worry for me because of not knowing the outcome, not knowing how I will react, worrying about what the future may hold. Yes, I probably put myself through the wringer, but for me its treading cautiously trying to protect myself if something awful was to happen again. We can never prepare ourselves entirely for something awful, but I have been let down so many times I know not to go in expecting life will turn out exactly how i want it to. Over the next few days I was on a high, despite reeling from all day sickness. Nights are still my enemy. On Monday 26th November I had a routine appointment organised with my Obstetrician. I was looking forward to sharing the results with my dr. This was the second time I have seen him and I automatically felt comfortable under his care, with my history. He listens, shows concern, and goes out of his way to make me feel reassured and confident. We have already planned that I will be having a c-section at 39 wks because of the high risk of uterine rupture. I hated the recovery of a c-section with Isabella but I will do anything to bring a baby safe into this world. He popped me up onto the bed and started searching for the heartbeat with a doppler. I had no idea he was going to do this. I know very little about how soon you can hear a heartbeat with these devices, however 10min later he is still searching for it amongst the beat of my own. I was intently watching my dr's face for anything that may suggest he's found it or worse, that he's worried. I got nothing. He looked relaxed which I tried to replicate my thoughts with. I couldn't look at Waz without mustering all the courage I had as to not let him know I was panicking (thank goodness he was with me!) and kept saying to myself it was only a few days earlier that our baby was ok. It still has to be! My OB wasn't having any luck. By then I was starting to feel sick. He organised for us to meet him at the hospital in half an hour (go home and drink lots of water). I got home and burst into tears. What if it wasn't ok? What if our baby had died? I couldn't get down there and onto the machine soon enough. The screen wasn't in view so I watched Waz's face as he began to scan me. My OB turned the machine and showed me my baby with its little heart beating away. The relief that swept over me was strengthening and gave me that little more hope I needed in my day. Needless to say i informed by OB I didn't want him to use that doppler again for quite some time! I am now 13 wks 4days into my pregnancy. It has been an awful first trimester with all day sickness and just feeling yuck and tired for the most part. It's been worse than I experienced with my twins and Isabella but I feel I am just older now and don't cope aswell. All wonderful signs too! I feel like I have hibernated away from the world. I am so looking forward (and hopefully the day arrives) to when this nauseousness disappears so that I can start enjoying food again, so that I can make a decision on what I want for dinner that won't come back up again. But that is enough of my rant about morning sickness. I just hope I can start enjoying this pregnancy at some point, but realistically the ups and downs of it probably won't allow me to, as I still have a few more milestones to get through to bring this beautiful baby home in my arms. My life has been quite hectic lately between Bears Of Hope, afternoon sports, book purchases, appointments and family commitments. But the one thing taking up alot of time in my thoughts, dreams and everyday life is where are we going to live? The house that I have rented for 5 years, since I separated from my ex-husband, has gone up for sale. My security blanket has shifted and this has made me a little more anxious than my pregnancy. Waz, my fiance, and I had been hoping for another 12 months in this house, especially with the impending arrival of our baby next June however, right now, my living circumstances could go either way. And that makes me very nervous. I don't do so well when I'm not in control of a situation. I had always been well organised, a perfectionist, a planner and like to think things through slowly and meticulously. I don't know how much time I have. I feel like I now need to take the bull by its horns, take control so that I'm not caught off guard when that sold sign goes up. But to build or buy is a decision taking its toll. I used to be alot of things before I began losing my babies in 2001. Confident, independent, an over-achiever. Saying goodbye to each of my babies and living with depression stripped me bare. Thankfully over the past few years, and since meeting Waz in particular, I have begun to tap into the old Toni, rebuild my inner confident self and I am now blossoming. Those petals are as bright as they have ever been and my roots as strong as steel, which I'm sure will be the strength to face what ever comes my way. The worry of where I am going to live has been an absolute torment with a tiring 4 hours of sleep a night. My anxiety is somewhat elevated. It's not something I had planned for or even wanted, whilst expecting this baby. But one thing I have learned in life is that you have to expect the unexpected and go with what you are presented with. Don't fight it. Everything happens for a reason.... and I know this doesn't sit with some people (it didn't when I had just lost each of my babies) But I am a strong believer of this now. My life didn't turn out the way I planned it. A far cry from it. So I guess whilst my life is still unravelling, I should take control of what I can, face and create the best out of the fear and anxiety. Who knows what brighter future this will bring to my family. Who knows what I will learn out of plunging in and taking a chance. A risk taker I am not...but perhaps it's time to be. I have decided to blog the next chapter of my life, although i'm sure I will easily delve into my history along the way I will provide you with a bit more of an insight into my life as a mother, bereaved mother, author and co-founder of Bears Of Hope Pregnancy & Infant Loss Support. I am currently 9 wks and 3 days pregnant with my 9th precious baby. I've heard and felt alot of excitement and congratulations surrounding this little one already from close family and friends. However, I look at that number and so many emotions fill my heart and my soul. I cry for my 7 babies who live in heaven, I hug and hold closer my beautiful and divine 7 year old, who I am absolutely and knowingly blessed to have, and I terrifyingly worry about this baby. I worry if this baby is developmentally "normal", I worry about the outcome of giving birth naturally or having another caesarian, and I worry about all the things that can go wrong right up until after birth. Plain and simple, I worry if this baby is going to come home in my loving arms. I know too much...I see too much in this often cruel world. Will I be blessed with this ultimate gift? Any parent who has ever lost a child will tell you what a true miracle it is to walk out of those hospital doors with a baby who is alive. Any parent who has ever lost a child will tell you that the safe arrival of a healthy baby is unknown. We can only hope and pray that all goes to plan. 1 in 4 pregnancies end in loss with 6 babies stillborn every single day in Australia. With these harrowing statistics and my torturous pregnancy history, it is the unknown life of this precious little baby, that I fear, because I have absolutely no control over this. All I can do is muster all the courage I can to address day by day and attempt to savour every moment I have with this darling little baby I have affectionately and currently named, The Blob.